Over two hundred years ago, settlers began carving homes out of the wilderness of what was to become Carmi, on the banks of the Little Wabash River in southern Illinois. Since then we’ve grown and weathered the changing times with energy, innovation and the perseverance of our people. We hope you’ll consider joining us – in business, as a citizen or as a visitor. If you get to know us we believe you’ll find that in Carmi, you can make a difference. The park is growing and welcoming visitors from all over. 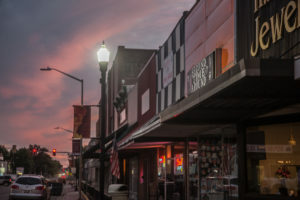 Carmi is a wonderful place to live and raise a family. Centrally located and with a history of prosperity, we invite you to take a look at what we have to offer.